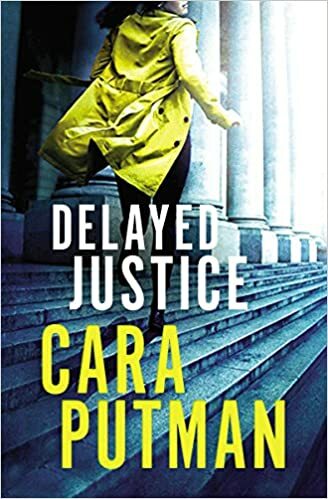 A special thanks goes to Cara Putman for gifting me this copy of Delayed Justice. Thank you! I enjoyed Cara’s clean writing. I appreciated her handling of icky details (this is after all, a thriller). I knew what had taken place, but didn’t have to read pages filled with horrific scenes to get out the other side. My imagination does quite fine on its own, thank you. I loved watching a relationship develop between Jaime and Chandler. I especially liked learning about therapy dogs and Aslan. There is plenty of growing tension and deep emotions shared throughout the story. I whipped through this one quite quickly, in a hurry to find out what happens in the end. Categories: books, RV Life, Small Things, The Daily Grind, The Writing LIfe, Uncategorized | Tags: Amazon, Book Report, Book Report: Delayed Justice by Cara Putman, books, Cara Putman, Goodreads, HarperCollins Christian Publishing Inc., reading, Thomas Nelson | Permalink. Meet Gage (3 going on 4) and Autumn (2 going on 16). Gigi is also featured above, all 3 of them enjoying a Babybel cheese break. Preschoolers have discerning tastes and interests. I’d like to add that both of these magnificent grands are eloquent, opinionated, book afficionados. Here are their current favorite picture books. And why I think each has preschool staying power. This remark nearly guarantees a great picture book. They should call it the AGAIN Award. SPOILER ALERT: Both grands love Peter and his adventures in the snow, though Gage is convinced the snowball did not melt, but is in fact, tucked beneath Peter’s chin as he sleeps. Don’t believe me? Look at that page. The background white section looks exactly like a snowball. They both love the snow adventures. Froggy and his silly antics keep Gage and Autumn glued to the story. They love me to read this to them as they eat lunch. They love jumping to the conclusion before I even get there. The laughing portions of the book have great child appeal. Of all the books we read, this one surprises me. Not that it’s a bad book, but, you know, she dies at the end. Despite that, Gage LOVES this book. He knows the ending and he loves how the old lady gets larger and larger. I always use a sing-song voice when I read it, so music complements the retelling. Who knew? This book was a hit the very first time I read it, with both Gage and Autumn. They love memorizing the story and retelling it themselves. I did hear that older brother, Donavyn, was purposely saying the wrong thing as she was reading to herself. This made her very angry! (This might have happened with the next book instead…). Preschoolers love reading about the caterpillar. This was one of the first books I dug out to share with Gage and Autumn. They loved it and immediately memorized the pattern of text and wanted to read it alone. This book is easy to figure out by simply turning the pages. 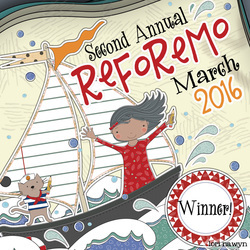 The bright colorful illustrations help readers retell and enjoy the story. Anything with a flap is award-winning for preschoolers. This simple book has repetitive text and involves visual and textual clues to use to guess the answer. Fill-in-the-blank reading is lots of fun and both Gage and Autumn love shouting the answers. Animals, flaps, mystery! I can’t tell you how many times I’ve taped this book back together. Three words: Hug, Bobo, Mommy. Who says you can’t tell a story with only 3 words? Everybody knows about hugs and mommy’s. Gage and Autumn love this book because of the mommy factor. Mommy’s are important and it would be horrible if she went missing. All the animals work together to help Bobo. So many good things in three words and great illustrations. Introducing the AGAIN Award. You heard it here first, friends. Let’s find other books that deserve the AGAIN Award. For in those beloved books, we will find the joy of reading and the shared experiences of lap time. 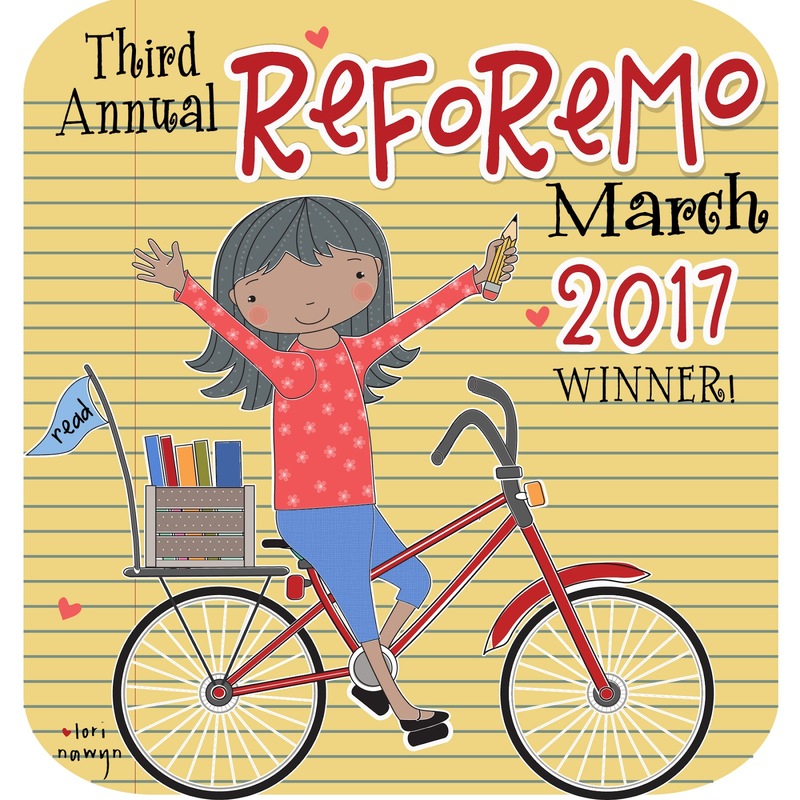 Categories: books, Family, Fun, Kid Stuff, picture books, Small Things, The Daily Grind, The Writing LIfe, Uncategorized | Tags: autumn, book favorites, books, Gage, grands, language, lap time, literacy, picture books, Picture Books of the Moment, preschoolers, reading, The AGAIN Award | Permalink. Today is a special day! Help me celebrate Multicultural Children’s Book Day by reading about a fun new book! I was gifted this book by @MascotBooks so I could participate in MCBD2019! Thank you, @MascotBooks and @KeoshaSath. I’m pleased to introduce you to Just Like You, Keosha Sath, and Mascot Books! In this book, a small child is inquisitively asking her mother questions about life. The book begins with the mother and daughter in the car on the way to school. They then visit different job occupations throughout the day. The mom is so busy thinking about giving the best answers, that she forgets the most important job is being a mom. The importance of this book is to show all little girls that they can work in male dominated jobs. The book also plants the seed to strive to be the person in charge. This book encourages more girls to think about obtaining science, technology, engineering, and mathematics jobs, as there is a shortage of women in these fields. What a perfect statement and preface for giving permission to dream big and grow up to be whatever you want! I want all little girls (and all children) to have the self-confidence and permission to pursue any career that interests them, regardless of who is traditionally found working in specific occupations. I love the bold, colorful, beautiful illustrations that accompany the story. Just Like You is told through conversation only. Mommy and the little girl have different colors of print to distinguish who is speaking. This style of writing keeps the story moving and captivating. During the conversation, a variety of careers and multicultural characters illustrate the story. I love the beautiful family featured on the pages of Just Like You. Young readers will enjoy the suggestions and open discussion of career options found in Just Like You. Categories: books, Family, Fun, Inspirational, Kid Stuff, picture books, Small Things, The Daily Grind, The Writing LIfe, Uncategorized | Tags: Amazon, Book Report, book review, career, imagination, Keosha Sath, Mascot Books, multicultural, Multicultural Children's Book Day, picture books, reading, self-confidence | Permalink. 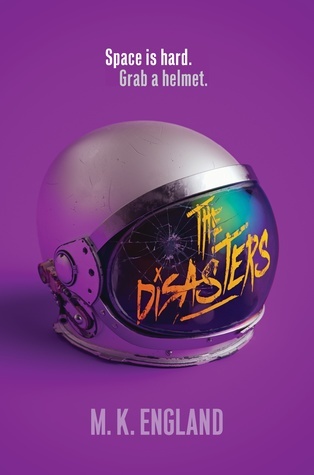 I truly enjoyed reading The Disasters. Nax is a mix of Captain Kirk and Han Solo-rebellious, risk-taking, and flying by the seat of his pants. Oh, and don’t forget skilled and able to creatively solve problems. The rest of the cast was just as interesting and unique. These failures who were kicked out of Ellis Station Academy formed a team capable of trying to figure out what to do to help, well, the Universe. What I loved: I enjoyed the characters and the setting of post now. I found it intriguing that once humans left the area, they were unable to ever visit Earth again. I loved the mystery and thrill of bad things happening, evil plans, and plot twists. The living in outer space setting was fun and I might have learned a few new things. I found the writing to be smooth, engaging, and page-turning. I think I finished the book over 2-3 evenings. Just couldn’t put it down. Thanks to M. K. England, Literary Rambles, and Natalie Aguirre. Great read! You can read the interview over at Literary Rambles here. 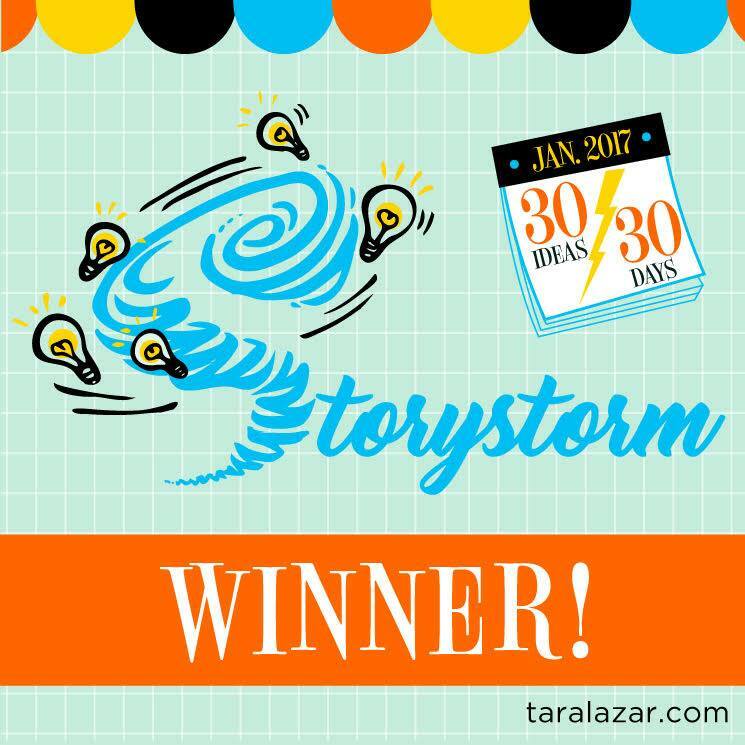 Categories: books, chapter books, Fun, Kid Stuff, The Daily Grind, The Writing LIfe, Uncategorized | Tags: ARC, Book Report, Book Report: The Disasters by M. K. England, books, chapter books, Goodreads, Harper Teens, Literary Rambles, M. K. England, reading, space travel, teens, writing | Permalink. Despite my love for cats, I adore birds. I just can’t put feeders out. That’s like saying, “Here, kitty, kitty! All you can eat buffet!” My Monet is a great hunter on her own, without my baiting traps for her. So, I enjoy the birds that fly beyond her reach or call from barns, trees, and migration routes. She can’t get to those. In my car I keep a falling apart copy of a bird identification book. It’s amazing how many birds I can spot, research, and identify while my honey is driving over rivers and through woods. I’ve learned much about birds on our road trips. After reading this post via Writers Rumpus, I discovered more bird books I need to read. Just in time for winter birding! 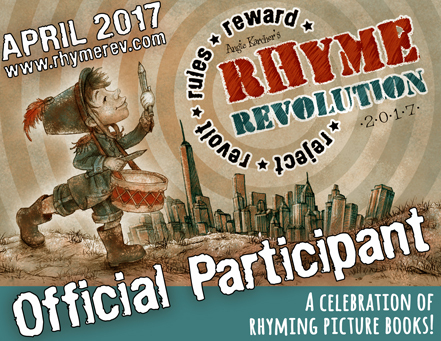 I’m sending a big thank you to the authors, illustrators, and Kirsti Call (Writers Rumpus). Thank you! Go check it out. You will learn a thing or three. Categories: books, Family, Fun, Gardens, Inspirational, Kid Stuff, Nature, Nature & Photos, Our Travels, picture books, Small Things, The Daily Grind, The Writing LIfe, Uncategorized | Tags: #amwriting, #kidlit, Bird Count, birds, books, Fly With Me, Heidi E. Y. Stemple, Jane Yolen, kids, Kirsti Call, Nature, picture books, reading, Writers' Rumpus | Permalink. I’ve never used Capri Sun in a recipe before reading this book. Yes, that has something to do with the adorable Porcupine’s Pie! Porcupine is getting ready for Fall Feast Day. She checks her cupboard for ingredients for her famous Cranberry Pie and heads to the river to wash cranberries. Along the way she meets her friends who have famous recipes as well, but these friend are missing ingredients. By the time Porcupine gets to the river, circumstances have changed and she is no longer able to make Cranberry Pie. Instead, once her friends arrive at her home, Porcupine makes a new treat, Friendship Pie (recipe included). I read Porcupine’s Pie with my grands the other day. My granddaughter immediately jumped up, ready to bake a Friendship Pie. But alas, their larder did not have all necessary ingredients. So Nana went shopping and last night we made Friendship Pie. Where does Capri Sun fit in? The recipe calls for cranberry juice (or a favorite juice). On the first night when we first looked in the fridge, there was a big container of apple juice. So Nana did not purchase more juice. ONE DAY later, when we prepped the recipe, the juice was all gone! That happens in families with three kids. The only similar ingredient to be found was Capri Sun. Well then. I can now say I’ve cooked with Capri Sun! Porcupine’s Pie gets two thumbs up! Add this one to your fall/friendship/sharing themes. Categories: books, Family, Food, Fun, Homemade, Kid Stuff, picture books, RV Life, Small Things, The Daily Grind, The Writing LIfe, Uncategorized | Tags: Beaming Books, Book Report, Book Report: Porcupine's Pie by Laura Renauld, cooking with kids, fall books, Friendship Pie, grandchildren, Kid activities, Laura Renauld, literacy, picture books, reading, recipe, writing | Permalink. Add to that nineteen-year-old Captain Hugo (aka love interest/person of interest), murder attempts, possible marriage, and personal risk for Stella, and you have an excellent mystery adventure set in space. Post ice age space, where all humans have jettisoned from Planet Earth to live in spaceships above the frozen landscape. I was hooked from the beginning chapter to the final words. Brightly Burning is a fast read. At least I read it quickly! Memorable characters, mysteries and escalating tension, and a unique setting kept me glued to the pages. Though Brightly Burning is written for teens, readers of all ages will enjoy the captivating world created by Alexa Donne. I received a copy of Brightly Burning from Alexa Donne, through Literary Rambles and Natalie Aguirre. Thank you both very much for a great read! Categories: books, chapter books, Family, Fun, Kid Stuff, RV Life, Small Things, The Daily Grind, The Writing LIfe, Uncategorized | Tags: Alexa Donne, Book Report, Book Report: Brightly Burning by Alexa Donne, books, Brightly Burning, chapter books, literacy, Literary Rambles, reading, space adventure, teen books | Permalink.